This is a well crafted and eye-catching drink coaster handmade by AQuarterPastEight, a handicraft studio in the UK. 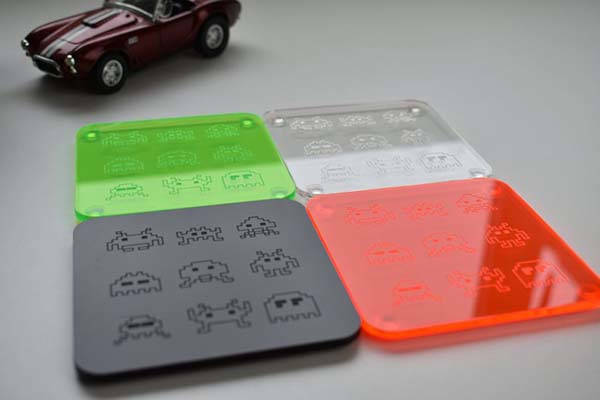 As we can see from the images, the coaster shows off 9 laser engraved mini aliens from Space Invaders, one of the most classic arcade games in the 70s, and the transparent design delivers four optional colors to match different personal preferences. 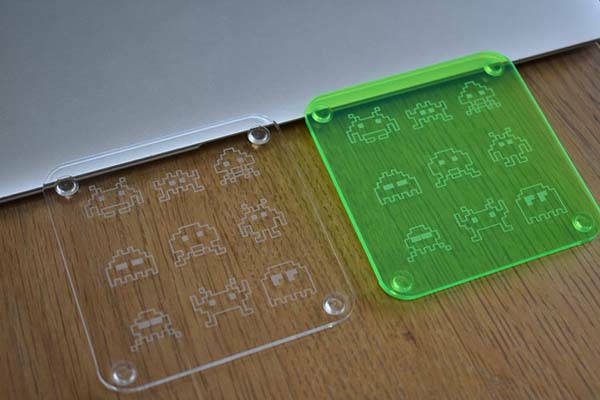 The drink coaster is laser cut from acrylic board for durability and a retro feel. Moreover, it measures 90 x 90 x 3mm, so the suitable size allows it to hold any cup or mug while adding a unique touch to your table. In addition, the four rubber feet not only stably keeps your cup in place, but also protects the tabletop from scratches. 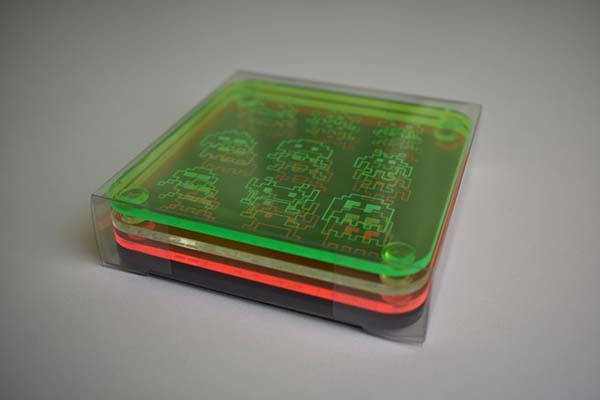 The handmade Space Invaders acrylic drink coaster is priced at $5.39 USD. If you’re interested, jump to Etsy for its more details.